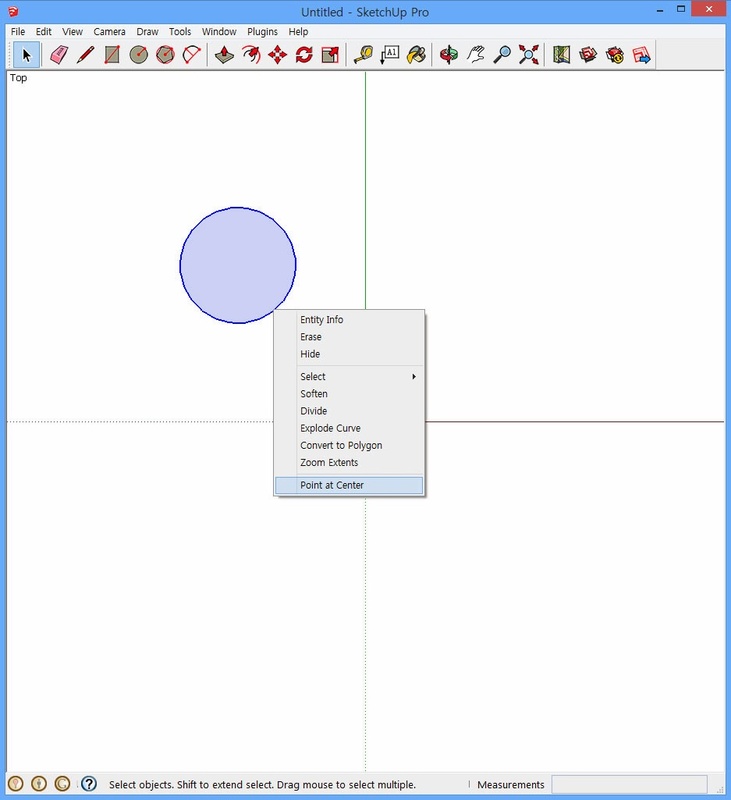 When SketchUp 2013 was released, the old and handy extension 'Point at Center' didn't come with its installation. 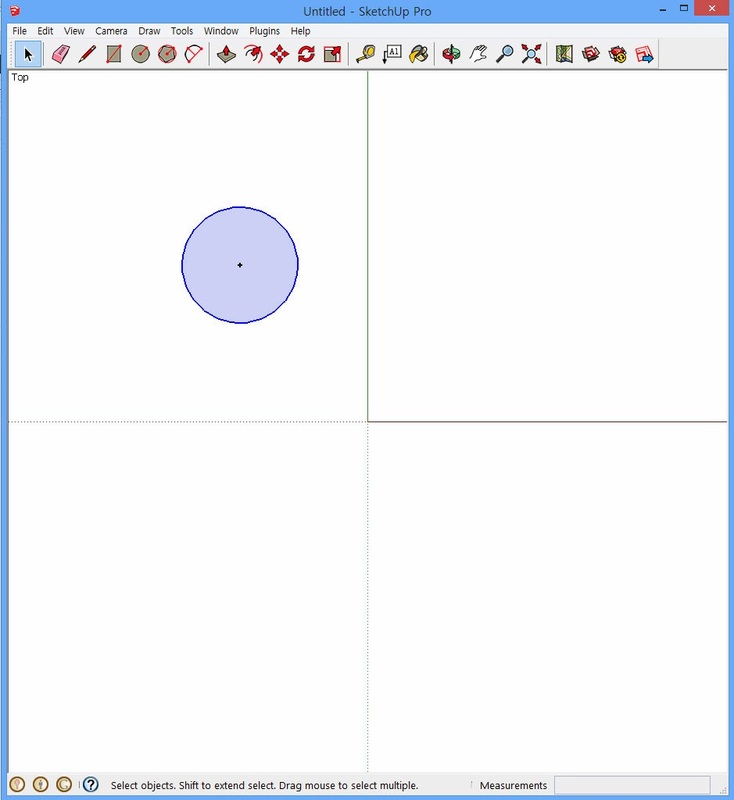 The extension was really handy since SketchUp can't have real arc and circle, so it enabled me to snap the center of arc and circle. But it would be too early if you blame its new host. The new host 'Trimble' seems to have a plan. 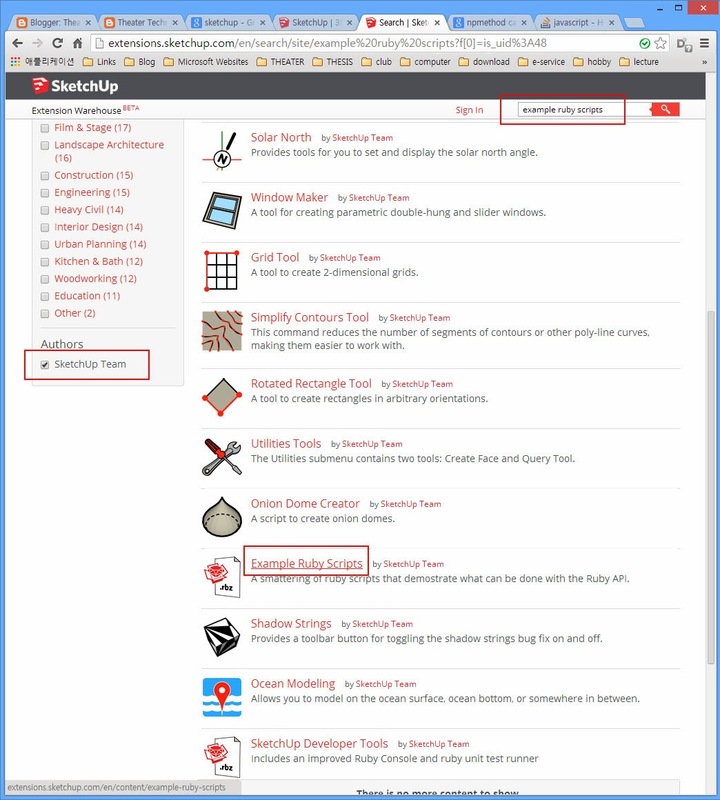 They managed to open 'Extension Warehouse' storing various plug-ins for SketchUp same as Apple app store. People around the world who can write small programs for SketchUp are able to post them and make money. Any way, How can you bring the old 'Ruby Script Example' to the version 2013 as same as you had in SketchUp 8? 스케치업이 2013으로 업된 이후, 본래 있던 'Point at Center' 기능, 원이나 호의 중심점을 그려주는 기능,이 사라졌다. 이 기능을 이전 버전처럼 돌려주는 방법을 소개한다. 7. 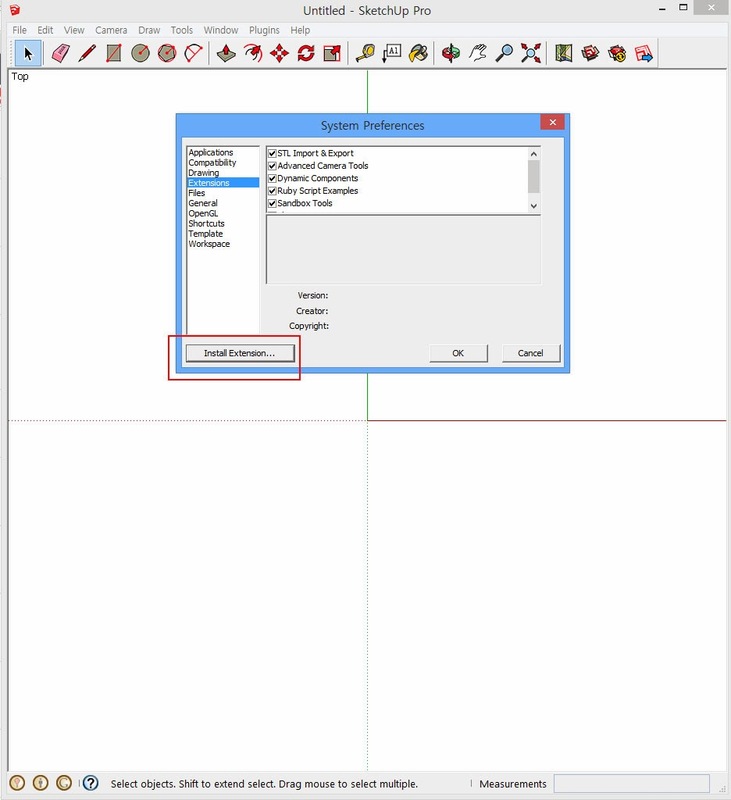 Select the downloaded file(su_examples_110.rbz) in the opened window, then you can see the conformation. --- 원을 그리고 테두리를 선택한 후 오른쪽 클릭하면 해당 기능을 사용할 수 있다.